Imagine we have a custom form to search for purchases done between two dates; so we have a simple action in a controller that takes the start and end date and create a set of conditions for the paginate() method, but… for some reason once we click on next page we are loosing the conditions to make the search. $conditions = "Purchase.date_delivered >= "
. "'" . $fromDate . "'" And that’s it! Now you have your search parameters working with pagination. 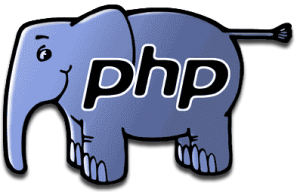 If you are trying to run the CakePHP console from your command line, probably you are obtaining a warning related with the system’s timezone, that is a normal behavior if your web server doesn’t have a timezone configured correctly. Let’s see an example about this and how to solve it. Today, I spent some time helping a partner of mine trying to figure out how to enable and use the CakePHP console in Mac OS + XAMPP (Mac OS version of course), so, after searching on the internet what was going on, I realized there was a problem with the unix_socket for MySQL because Mac OS didn’t recognize this parameter automatically, so here is how I solved this issue, I hope this help you a lot. Error: Database connection "Mysql" is missing, or could not be created. That’s it for today, remember: be happy with your code! 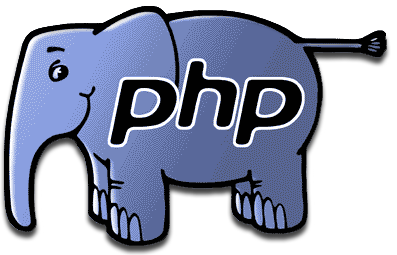 2) Be sure that your “pure” PHP files don’t contain a white space or a blank line after CLOSING PHP TAG (?>) or before STARTING PHP TAG (<?php ). In fact, when you create a PHP file (with only PHP source code) it is NOT recommended to use CLOSING PHP TAG (?>). You can read about this in: http://framework.zend.com/manual/1.12/en/coding-standard.php-file-formatting.html (thanks to Daniel Guerrero for sending this link). When previous steps don’t work, try to find what is the character-encoding used by your PHP file, usually they are in ANSI, or UTF-8 (this second encoding is recommended). So, in my case only was necessary to change the character-encoding to UTF-8 and that solved the problem. This is the sixth and last class of a course that I taught to the community in the last year, you can see it directly on youtube or if you prefer download it this is the direct link on mediafire. This is the fifth class of a course that I taught to the community in the last year, you can see it directly on youtube or if you prefer download it this is the direct link on mediafire. This is the fourth class of a course that I taught to the community in the last year, you can see it directly on youtube or if you prefer download it this is the direct link on mediafire. Today I would like to share with you a list of videos related with CakePHP Framework (this videos are in spanish). This is the first class of a course that I taught to the community in the last year, you can see it directly on youtube or if you prefer download it this is the direct link on mediafire. This is the third class of a course that I taught to the community in the last year, you can see it directly on youtube or if you prefer download it this is the direct link on mediafire. This is the second class of a course that I taught to the community in the last year, you can see it directly on youtube or if you prefer download it this is the direct link on mediafire.